We use public groups heavily to create staged sharing rules, and have to use a very complex naming convention to not get lost. Still, it often happens that someone adds or removes members because of a misconception of what the group is all about. It would be extremely helpful if both public groups and sharing rules could have a 255 character description field, and it would be even nicer if we could also display staged groups with all members, including other groups, roles and users in a hierarchical way, as is available for Accounts/Parent Accounts and Contacts/Reports to's. Example: group "Global" is contained in groups "Region EMEA", "Region Asia" and "North America", which is a member of "Mexico", "Canada" and "USA", which is a member of "Pacific", "Middle" and "Atlantic", etc. If you are using public groups to control sharing for accounts, and opportunities, would recommend that you take a look at our territory management function, which has a hierarchy/description, as well as modeling/what-if capabilities, and ability to filter account/opty list views and reports. We plan to expose territories as public groups in sharing rule definition for all objects including custom objects in Spring '19 (safe harbor), which would help with the issues raised here. Adding a Description field to Public Groups would be a big help especially for documentation purposes! Hi Haidong, thanks for the info. We still would want this functionality, as we use Public Groups in different ways than territories. Having a description field would greatly help our efforts at documentation, improve data security and eliminate redundancies. Thanks! Still a very helpful and needed addition. Also just put in merge requests for the 3 Gorav mentioned. Apparently Salesforce is reeeeeaaaallly backlogged here. I mostly just want a Description field, but hierarchy would be great also. maintaining a separate spreadsheet to track description on public group is something that should not be necessary or considered acceptable. how much of my year is spent killing external spreadsheets.. This would be SO helpful!!!! Our public group list is growing - and we're now maintaining a spreadsheet to keep track of the "description" and "purpose" of the public groups. This would be so helpful. 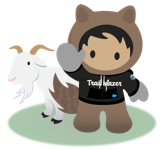 My current employer is new to Salesforce, and our team is trying to document everything, with a preference for documenting within the system. A large text field to annotate reasoning, ownership, etc. of a public group would be a big help. Agreed! The description field would definitely be helpful when implementing multiple sharing rules. @Christoph K. Well, it's not exactly a description field, but note the two new fields for sharing rulesin the screenshot. Useful for providing some meaningful information regarding the purpose of the rule.